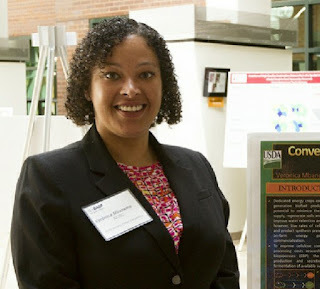 Ph.D. student Veronica Mbaneme won second place at the 2017 BASF Innovations in Agriculture Poster Session. Her project, Integrated Energy System using Perennial​ Bioenergy Crops and Clostridium thermocellum, received a corresponding monetary award. Students from universities across the state including NC State, Duke University, UNC-Chapel Hill, NC Central and NC A&T attended. They were invited to present their research, tour the BASF Research Triangle Park facilities, learn about various research initiatives, and network with academic and industry leaders at the 2017 BASF Innovations in Agriculture Poster Session.